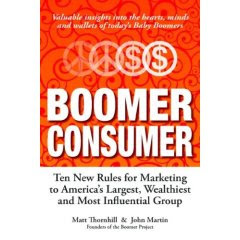 Already there are three excellent books this year about Boomers, Business, and Marketing: PrimeTime Women, Turning Silver Into Gold, and now Boomer Consumer by Matt Thornhill and John Martin. 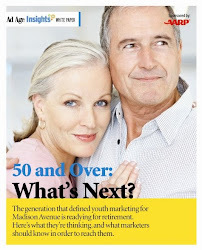 Like the first two, Boomer Consumer is a breezy but overflowing-with-info read. This won’t be a thorough review because I try not to compose blog posts that virtually unfurl into the basement. I’ll simply say that while turning the pages of Boomer Consumer I was constantly nodding in agreement. These gentleman are the Baby Boomer marketing research experts. 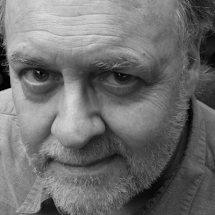 But I knew that already, what with following The Boomer Project for the last three years, and subscribing to Jumpin’ Jack Flash and the new Boomer Marketing News. Research. 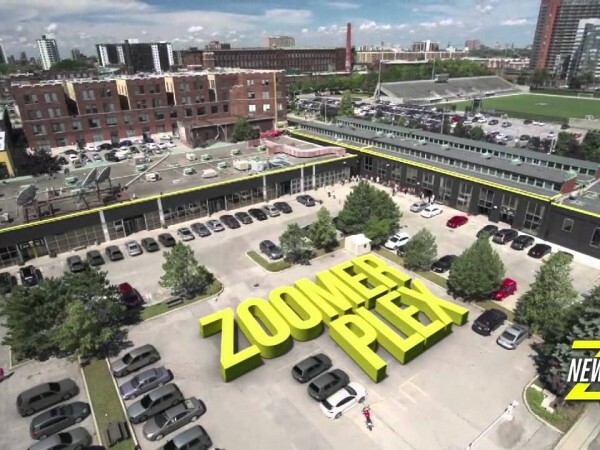 Well, being one of those creative types who, as a rule, throws research in the trash, I always seem to glean great stuff from The Boomer Project and their insights. The reason is because (and this sounds like a back-handed compliment, but it isn’t) The Boomer Project is a down-to-earth, fairly small outfit – not a bloated, impersonal multinational. I rarely trust survey results with simpleminded black and white questions given to tens of thousands of people. The companies that do those merely crank-out, crunch, and collate - while Matt and John spend time listening to the people who will be involved in their surveys before they even fashion the questions. You’ll know what I mean when you read the book. For review purposes (although I didn’t really review it) I was sent an advance reader copy. 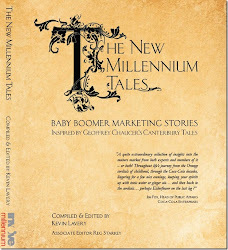 Boomer Consumer will be released in about a month. You can pre-order it on Amazon.com.